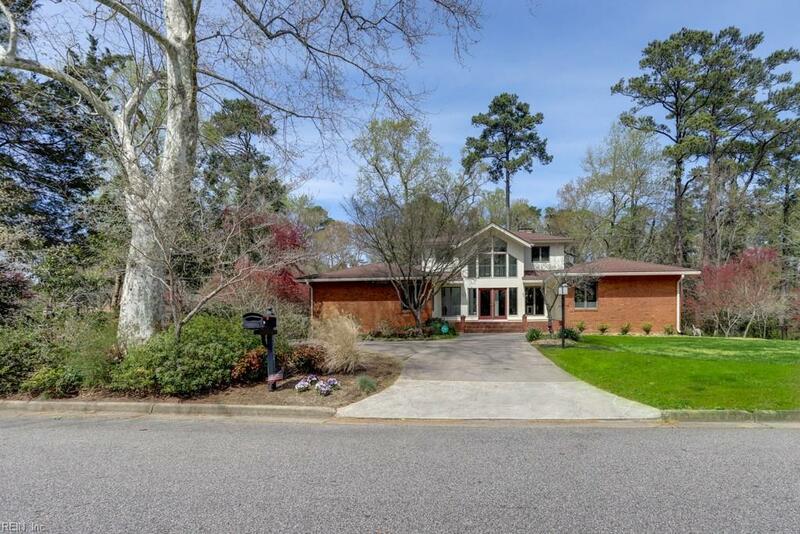 Beautiful recently updated 5 bed 4.5 bath transitional home with wooded views & freshly landscaped. 1st flr master bed & 1st flr guest rm w/ba ensuite. 2 story house w/ fully finished lower level & bonus area. Downstairs can be used for in-home office, guest suite w/full bath, exercise room, or all of the above! 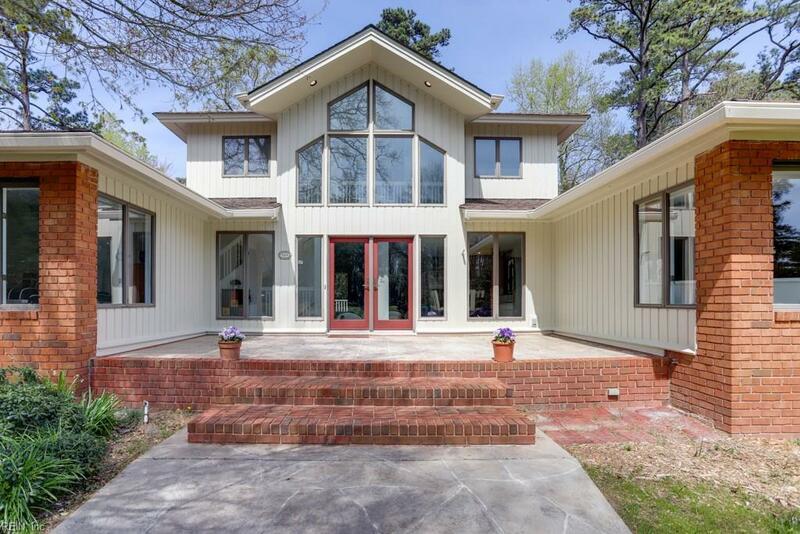 This lovely home boasts sunlit rms w/vaulted ceilings & gorgeous views from every window. Brand new high grade flooring throughout downstairs, interior newly painted, all carpets steamed cleaned, windows cleaned, and exterior and decking power-washed. 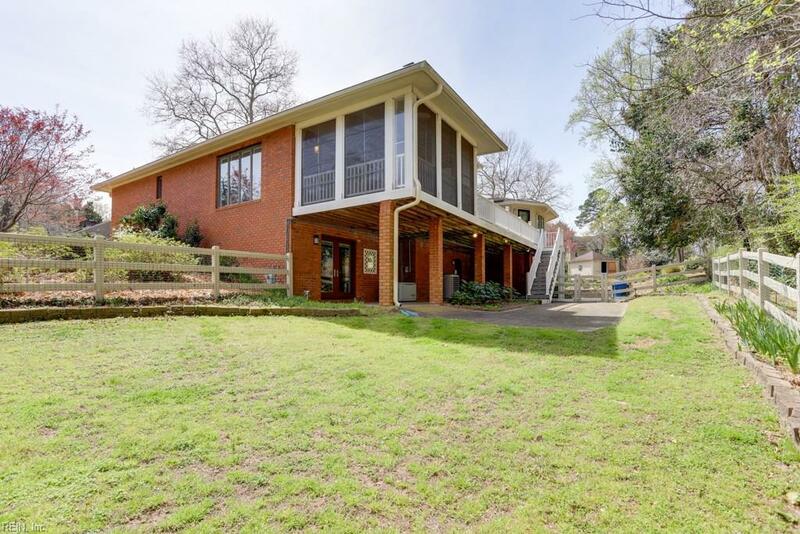 This is a perfect home for a big family or those who love to entertain. Two bedrooms on second level with J&J bath. Large 2nd story deck runs the length of the house! Extremely fuel-efficient house. Tankless water htr and central vac! Generac 16 kw conveys. No flood insurance required. GREAT TIMING FOR INCREDIBLE BUY! ASSESSMENT IS $729,700. Sellers next home is ready and its priced to sell! 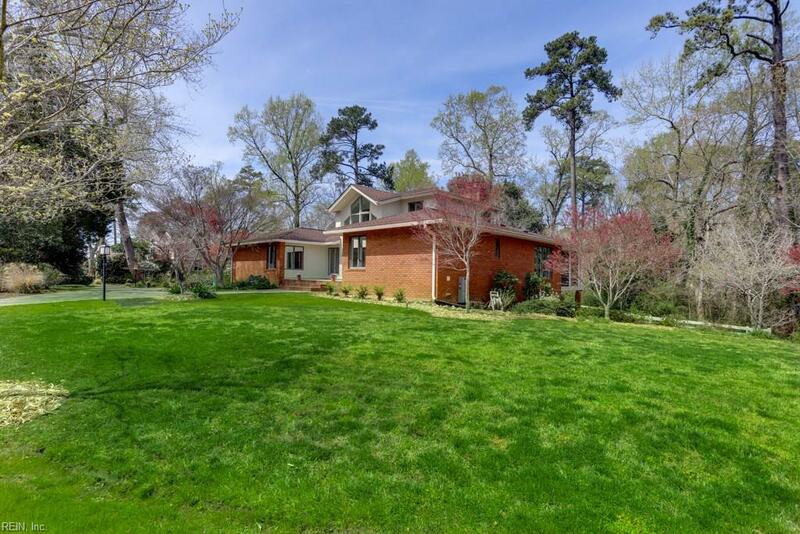 In demand Thoroughgood location!